Troy is a kid with a passion. And dreams. And wanting to do the right thing. But after taking a wrong turn, he's forced to endure something that's worse than any juvenile detention he can imagine-he's "sentenced" to the local city stables where he's made to take care of horses. The greatest punishment has been trying to make sense of things since his mom died but, through his work with the horses, he discovers a sport totally unknown to him-polo. Troy's has to figure out which friends have his back, which kids to cut loose, and whether he and Alisha have a true connection. Laced with humor and beating with heartache, this novel will grip readers, pull them in quickly, and take them on an unforgettable ride. Set in present-day Christine Kendall's stunning debut lets us come face-to-face with the challenges of a loving family that turn hardships into triumphs. 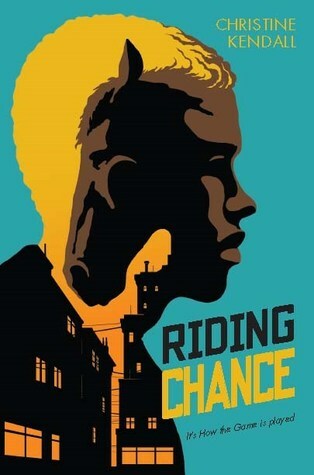 I'm definitely going to pick up Riding Chance and give it a read. I'm blessed to have grown up in a rural area and in a family that was once farmers. So I was presented with the opportunity to ride and be around horses. Honestly, it wasn't really until I was a teenager that it became evident that a lot of people associated horses and horseback riding with whiteness or something that only White people did. This sounds like a lovely story, Jazmen. I love that he rides horses. You are so right about it being something associated with whiteness. Even in my home-country where we are all brown or black and where horse races are popular, horse-riding is associated with the white people. I'm glad you enjoyed reading it!